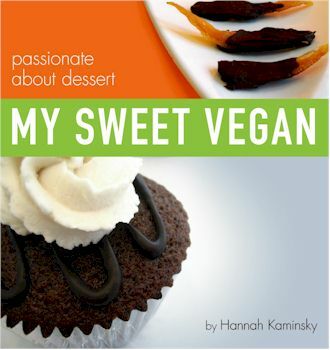 Summer Reading Series Giveaway: Two Dessert Cookbooks! 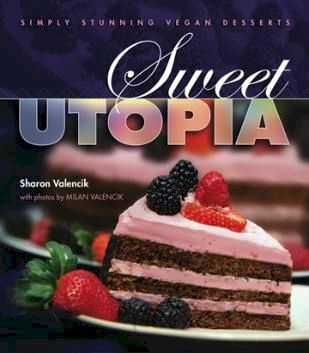 This full color cookbook from Sharon Valencik won over a foodie friend and avid vegan baker who writes reviews for Go Dairy Free. She was immediately pleased with the beautiful photography and the easy-to-follow recipes, but hooked after sampling some of the near perfect cookie recipes. 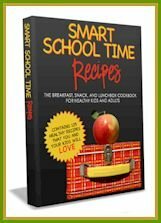 Of course, this cookbook doesn’t stop with cookies … cakes, pies, muffins, cobblers, bread pudding, and more can all be found within. 1st Entry – Comment and answer the following: What is your favorite dessert? Please do feel free to be specific, or even link to a recipe if you wish. You must answer this question to be eligible! 2nd Entry – For another chance to win, share this giveaway via facebook, twitter, or your blog, and leave a second comment here letting me know that you did. 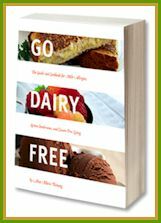 3rd Entry – Sign up to receive One Frugal Foodie posts and/or Go Dairy Free posts via email (see upper right corner of this blog for One Frugal Foodie, click here to get Go Dairy Free updates), and let me know that you did in another comment. Entries will close on Monday, July 19th, and the winner of both cookbooks will be selected and announced on Tuesday, July 20th. Summer Reading Series Giveaway: The New Divvies Bakery Cookbook! My favorite dessert is either watermelon or dark chocolate. My favorite desert is anything with peanut butter and bananas. My favorite desert is banana split. I love blackberry cobbler with Blue Bell Southern Blackberry Cobbler Ice Cream. My almond butter / raw cacao rice krsipy treats are for sure my fave- with strawberry rhubarb crumble at a close second! My fave dessert is tiramisu. My favorite desert is cheesecake with a fruit sauce or fresh fruit topping. my favorite dessert is berry cobbler! I’m also on the email list! dessert is my favorite thing ever. i love hannah’s blog and have been meaning to get her book for so long! my very favorite dessert is a giant slice of german chocolate cake, especially if it’s my birthday cake. My favorite dessert is an awesome pie!